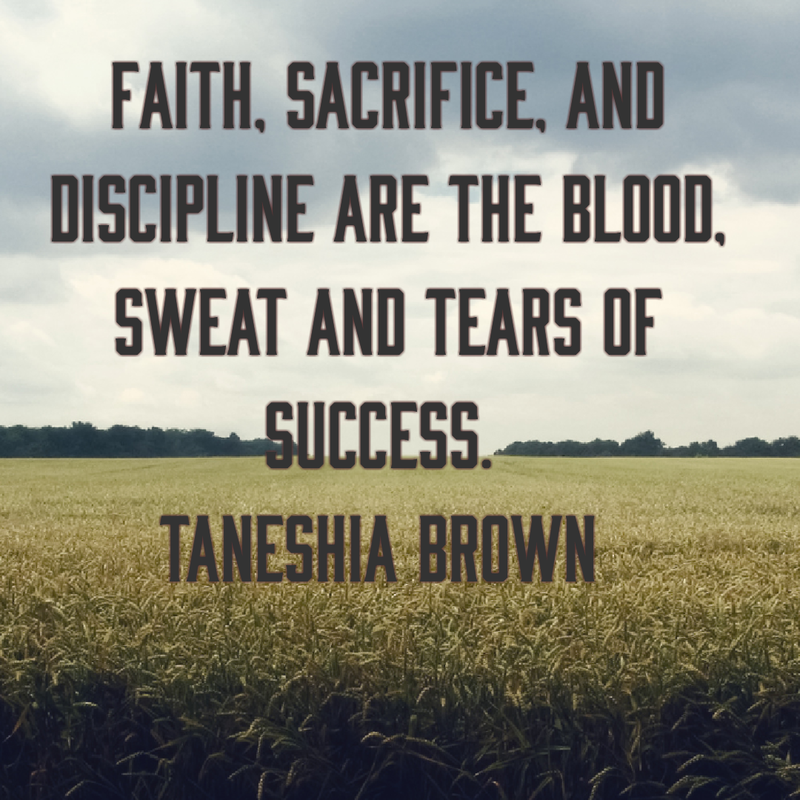 Down not out by Taneshia Brown – Our Steps Are Ordered, so when we fall, we are merely down, but never out! Our Steps Are Ordered, so when we fall, we are merely down, but never out! What a year it has been… let’s forget about the old where, who and when… because of Jesus I am cleansed of my sin, and thank Him for blessing me again and again… often our days are filled with anger and strife when really we should be grateful for life… when standing in the rain we encountered such pain, but it’s all about perspective as we look through the window pane… but be patient, stay sane, for ur faith is the strongest link in the chain… we must stop striving for perfection for when we look in the mirror it’s a flaw in the reflection that causes disfunction because if you living life right then we should always be under construction, if not the alternative is self destruction… so this year let’s get out in the field and each other rebuild so that when this life is at an end, God says to us all, welcome my friend… blessings to all! Speak out against Domestic violence. Author Downnotout1Posted on July 20, 2017 Categories Life & FamilyLeave a comment on Speak out against Domestic violence. Author Downnotout1Posted on July 6, 2017 Categories Life & FamilyLeave a comment on Be bold! Believe in what God prepared you for. Author Downnotout1Posted on July 6, 2017 Categories Life & FamilyLeave a comment on Believe in what God prepared you for. For a lifetime I have ignored the things that were evident to me, and paid attention to the things that only distracted me from my purpose. However, as we change, better yet, as God changes us, we begin to see what is truly there. At first it was subtle; I would ask God for guidance and something small and hard to see would appear and I would miss it because I was focused on the larger, but less insignificant things. I use to believe that God blessed me with the ability to read people immediately and quickly determine that person was not part of my journey. To that end, I discredited their presence and moved forward. Then I realized that I would meet this person later on and do the same; discredit their presence. Whether it was because I decided that they could not be trusted, or their presence was just toxic in some way, shape, or form. I distanced myself and cut that person off. I finally was forced to ask myself “why?” did this person keep reappearing. It was not always the same person; sometimes it would be a different person but they possessed the same characteristics as the previous, and sometimes it was simply the same feeling I would experience with someone different that yielded the same response. Yet in still, I handled the situation and the person the same way. You see, life, and my past taught me that the best way to protect myself from any damage was to detect and detach. If I detected something or someone that raised my suspicion, I immediately detached myself from present and future interaction. This, in my mind, kept me from trusting them and later being hurt by them. However, I finally understand why the presence of these things and people keep replaying in my life. My lesson from God was not to detect, distrust, and detach. However, to trust Him. You see? If I trust God and he places someone or something in my path, it is to fulfill His will for me and often for the other person or situation. What this means is that for me, every lesson and/or blessing does not come in the form of a beautifully wrapped gift that emits nice and wonderful feelings. 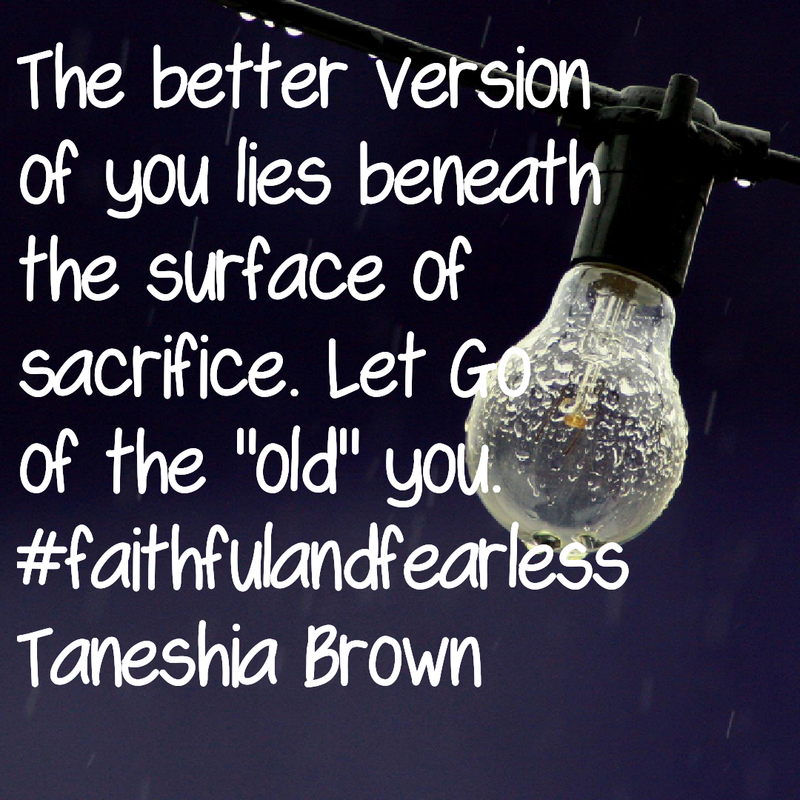 Sometimes the truth; the lesson and/or blessing will cause pain and discomfort. Thus, when I detect something or someone that makes me uncomfortable, I must learn how to welcome them. The detection is my discernment that God blessed me with. 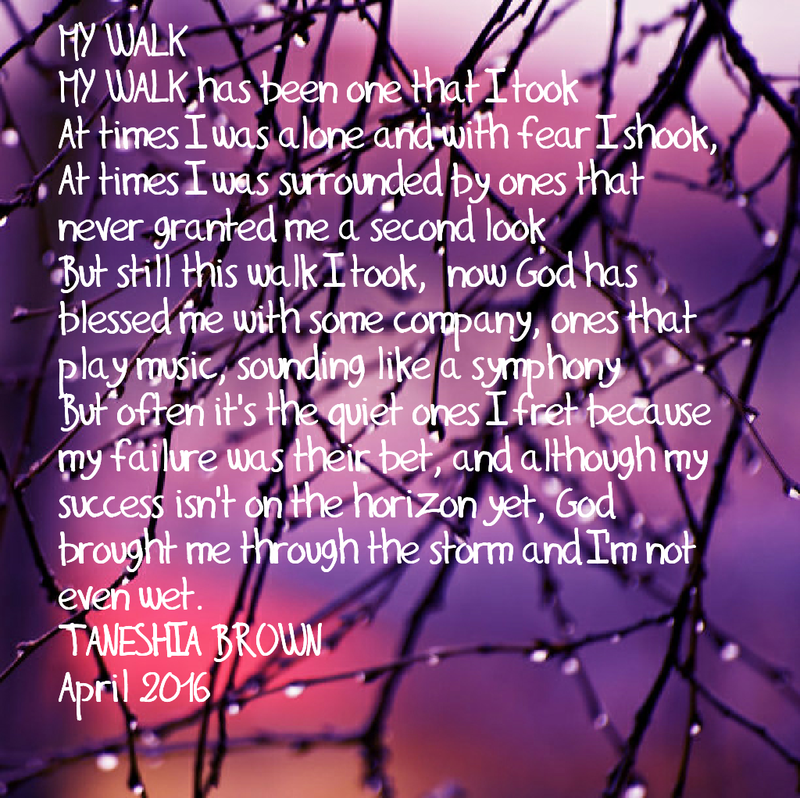 It is His introduction or preface to my journey and his purpose for me. If I never read the introduction/preface than I will never know what is to come, good or bad. So I am not truly trusting God. Alternatively, If I read the introduction/preface or simply take the time to understand the person or thing then I can better understand the purpose behind their presence. In doing so, I can fully trust that even if their purpose is pain, that God has an end plan for me. I must accept the pain to reach the gain. I must blindly accept the presence of something or someone that introduces discomfort or change into my life in order to finally see. The end game is to see through God’s eyes, to know that the world is sinful and still greet it daily with love. To understand that people are not perfect, but God’s will is. With God’s Grace, I am saved, with his wisdom, I am empowered, and with his vision, I see 20/20. 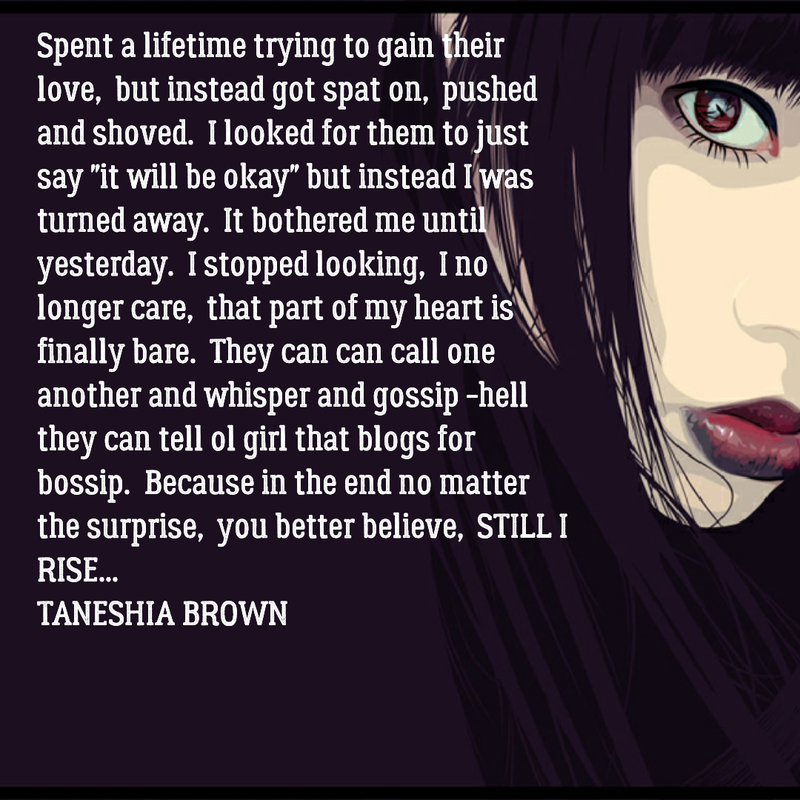 Down not out by Taneshia Brown Create a free website or blog at WordPress.com.